Yesterday I was catching some sun in Madison Square Park while reading about the same Mr as everyone else. Got hungry and remembered that people had been talking about a place called Eataly. I googled it and it proved to be next to the park! How perfect? 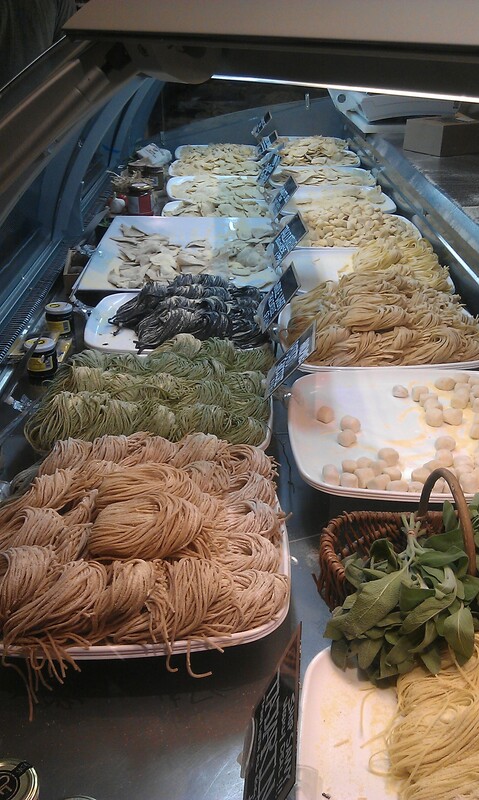 Eataly is an enormous luxury grocery store with all the Italian delicacies you can imagine. Cheese, wine, pasta, meat, chocolate, gelato, coffee, seafood, pizza… Everything can be bought over the counter or pre-packed from shelves. There are also small eateries inside which I would love to come back to. This time I ended up with some prosciutto, buffalo mozzarella and a juicy tomato (American though but really good!) and created my own antipasto plate at home. I enjoyed the plate with some delicious tap water and a friend on the other side of Skype. A perfect Sunday night! By the way, which MR?